The Section of Anesthesia offers small animal, equine, ruminant and exotic anesthetics at the highest level. We are particularly interested in the pain therapy, which is also our main research area. 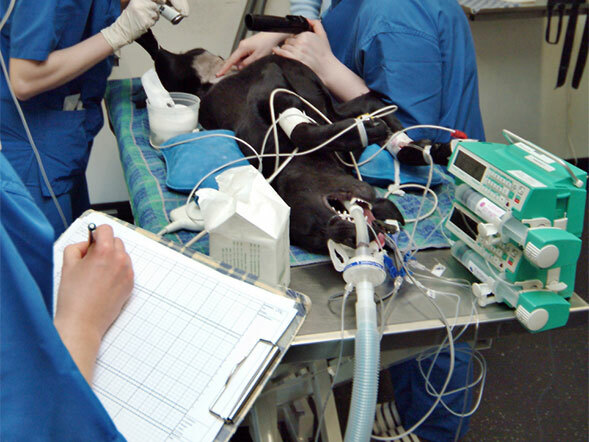 Furthermore, we are also the persons to contact for veterinary practitioners, as well as other medical institutions working with exotic or laboratory animals, should they need professional help in managing difficult anesthesia cases or have basic questions on the planning of anesthesia protocols (Good Clinical Practice). Our section is a recognized and successful training center for prospective veterinary anesthetists, validated by the European College of Veterinary Anesthesia and Analgesia.